A heartbreaking and powerful story about a black boy killed by a white police officer, drawing connections with real-life history, from award-winning author Jewell Parker Rhodes. 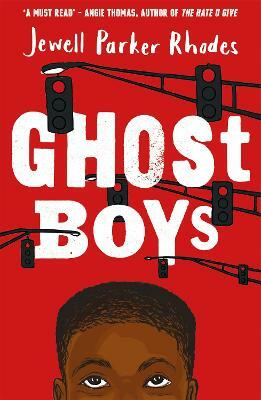 A heartbreaking and powerful story about a black boy killed by a white police officer, drawing connections with real-life history, from award-winning author Jewell Parker Rhodes.Twelve-year-old Jerome is shot by a police officer who mistakes his toy gun for a real threat. In the wake of his death, Jerome, as a ghost, observes the devastation that's been unleashed on his family and community.Soon Jerome meets other ghosts, from different time periods but similar circumstances. He also meets Sarah, the white daughter of the police officer who killed him. Sarah too is struggling to grapple with the aftermath of the shooting. A poignant and gripping story about how children and families face the complexities of race in today's world.